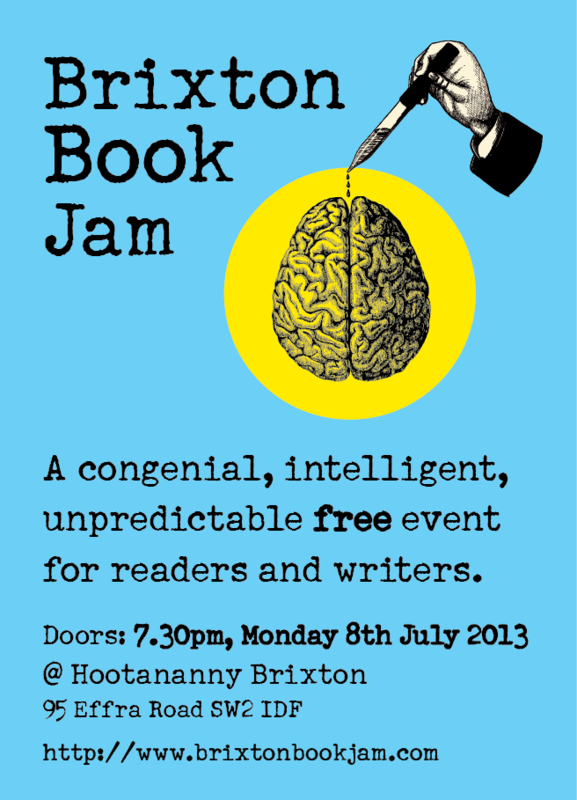 If you think that sounds good, come along this Monday, 8 July! I’ll be joining the fun, doing a reading stint along with 10-12 other writers. MC for the evening will be comedian Ivor Dembina. London SW2 1DF. Doors open at 7.30, readings start at 8. Keep in mind that this is all free! I’ve been going to this pub for many years, back to its previous incarnations as the George Canning and the Hobgoblin. It’s been a site of diverse musical interludes, adventures and misadventures. So it’ll be a thrill to do a little turn there at last. Meanwhile, I want to thank everyone who came to our launch last Thursday at the Review Bookshop in Peckham. The place was packed out, and it was standing room only. Many had traveled from far-flung places including Portsmouth, Glasgow, Birmingham, Oxford and Norwich (not to mention Hackney and Wood Green). I think it was a good idea to launch several (well, five) books together, which turned it into a major event. Our able MC Allen Ashley joked that a bomb falling on the Review Bookshop that night would obliterate most of the slipstream and indie publishing world. However, I’m pleased to say that the evening went ahead without any untoward incidents. I’m only sorry I didn’t get a chance to chat with everyone. If you didn’t make it the launch, you might be interested in this special deal from PS, featuring a reduced price if you order Helen’s Story and Nina Allan’s new book Stardust together. This applies to unsigned and signed editions. It’s still up on the PS website, but it will be available for a limited time only.